I’m looking to take a 85 watt 1965 Showman head with stock 8 ohm transformer and pair it with some speakers I own. I’ll either have cabinets made or try and source some good used cabinets. My intent would be single cabs for each speaker to keep things manageable to transport. familiar with impedance matching and would like to know if pushing the 4 ohm BW would be ok? Also, is there an option to use both 8 ohm Calis at once in separate cabs? Any input on options would be appreciated. If the head wants 8 ohms going to 4 ohms will tax the amp. You could get a single 8 ohm 15 or get two 4 ohm 12's and wire them in series to result in an 8 ohm load or two 16 ohm 12's wired in parallel to get an 8 ohm load. Best to provide the amp with the impedance it wants to see rather than just put to use speakers you happen to have laying around. Get another 4 ohm BW 15 and wire the two in series to get 8 ohms. 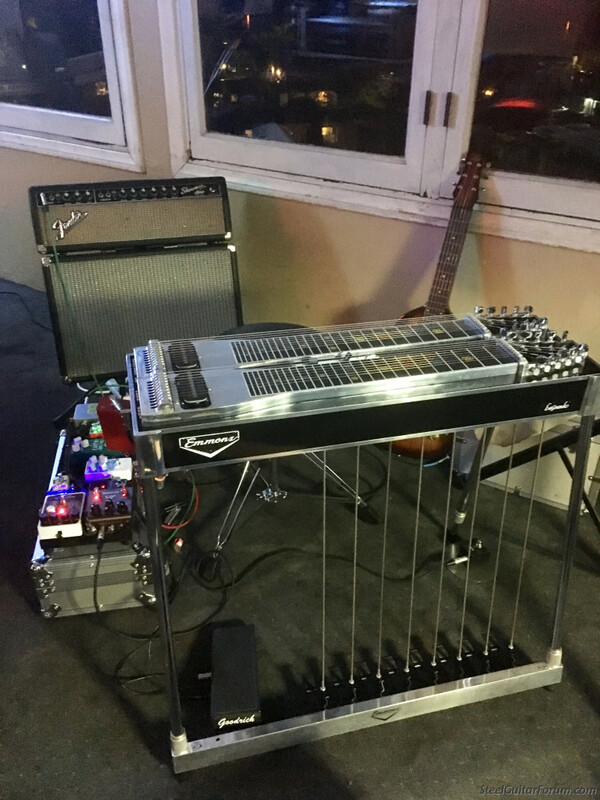 A dual showman used to be two 15's. Or use just one 8 ohm 12. Dennis...Try it with just one of the Cali12F's ...if you don't like it, find a 15" 8 ohm speaker..I use an old 70's white ceramic EV SRO 15" 8 ohm and love it.. 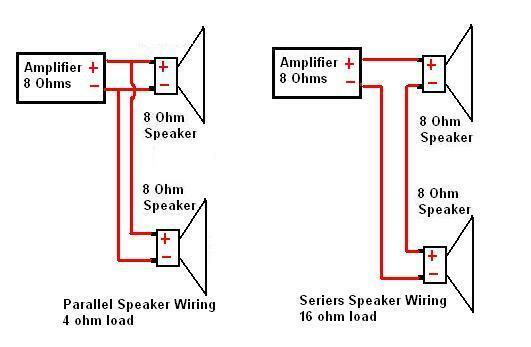 They match the amp and speaker from 2 to 16 ohms, either direction. One is 50 and one is 100 watts. I have a variety of speakers and amps in a variety of configurations. Seems this would eliminate the impedance mismatch problem. I believe a 1965 non-reverb blackface Showman head usually has a 8-ohm output transformer, but some also had 4-ohm. You'll want to get the number off of the OT and check it with others. I believe there is an on-line source for these numbers. I have a 1964 Showman head and I run it either thru a single 15" Telonics Neo (in a Rick Johnson cabinet). Or I often also run it with a single 12" TT speaker (in a different Rick Johnson cabinet). Both of these set-ups sound fantastic. 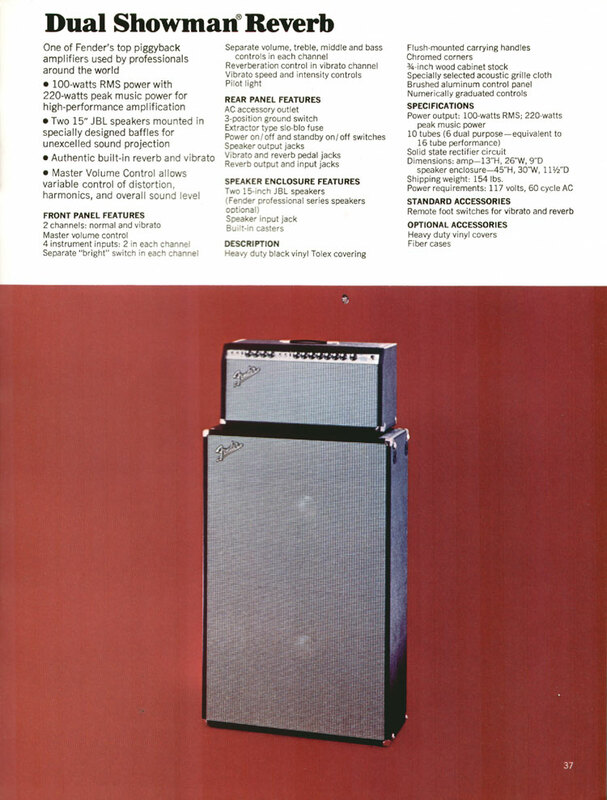 If you have a roadie, a lift truck, or a strong back, one of the best setups ever devised for the 8-ohm Showman head (as opposed to the 4-ohm Dual Showman head), is Leo's original Showman cabinet with the tone ring and a D-140F JBL speaker. Does the Showman 8 ohms sound better than the Dual Showman 4 ohms? Why? If you parallel the 8's (makes 4) and then series that with the 4 you'll end up with 8ohms. The Showman and Dual Showman are identical except for the output transformer impedance, Showman is 8 ohms, Dual Showman is 4 ohms. Yes they sound the same because they are the same.